Much like modes of transit, people also make good connectors. 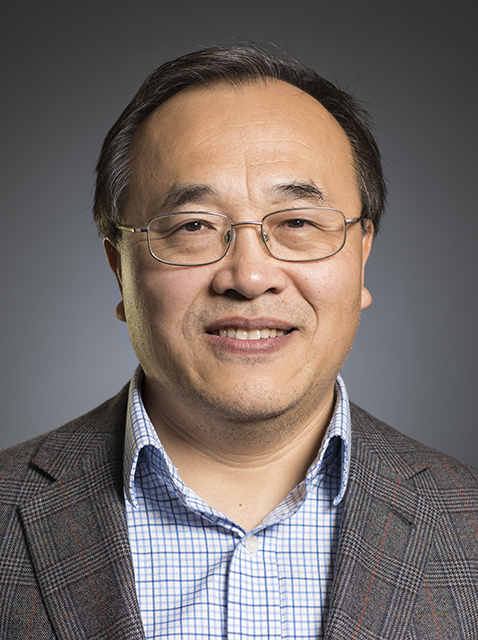 In recognition of his efforts to bring students and transportation professionals together, professor Yinhai Wang has been honored with the Institute of Transportation Engineers (ITE) Transportation Education Council Innovation in Education Award. “Dr. Wang has been referred to as the ‘great connector’ in his efforts to bring people – students and professionals – together for the greater good,” the ITE nomination committee stated. The annual award recognizes people who have helped support and develop transportation professionals through innovative programs. According to the ITE nomination committee, Wang has been an innovator in transportation education by founding and directing the Smart Transportation Applications and Research (STAR) Lab. Established in 2003, the lab offers resources for students from various academic backgrounds to explore solutions to transportation problems, provides hands-on instrument and software training and connects students to transportation agencies for real-world research opportunities. To allow students to see transportation through the eyes of practicing transportation professionals, Wang also brings guest speakers into the classroom and through his involvement in the UW Institute of Transportation Engineers (ITE) Student Chapter, he encourages students to gain exposure to the larger transportation research community by presenting papers at conferences, and helps them secure funding for travel expenses.